"Rome Burning” has a bulletproof patrician core color of Caesar’s purple with the colors of the inferno that wash away from it with excess liquidity. As it dries there are shades of brass that can actually shine on some paper grades and can halo the darker core when using the right nib/feed combination. On very absorbent cellulose paper the patrician core can be seen in the center as the fire surrounds it – as if an eclipse of the sun. You got that? Good. You are officially smarter than me. 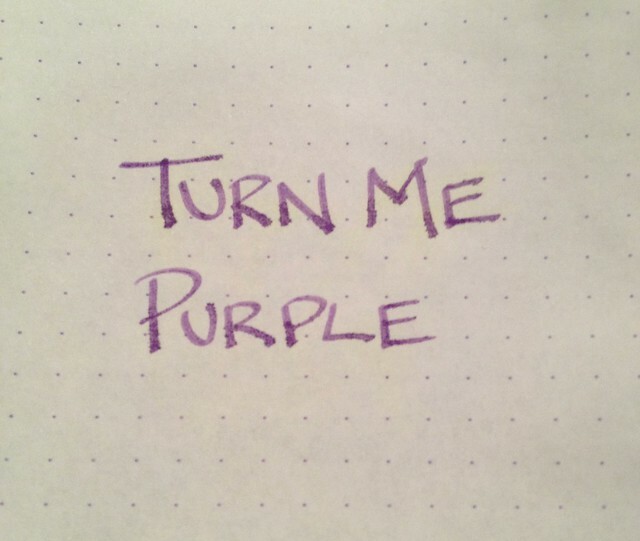 My thoughts on the ink are two-fold. One, the ink properties descibed above are legit and come through in the testing I did below. Two, I will most likely never use this ink again. 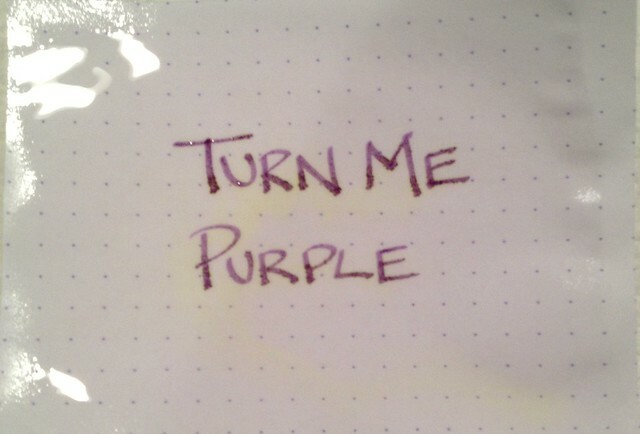 As to number two, there is nothing inherently wrong with the ink, I just don't like the color. In fact, I like the washed out purple much better. That said, it performed wonderfully and dried incredibly fast. 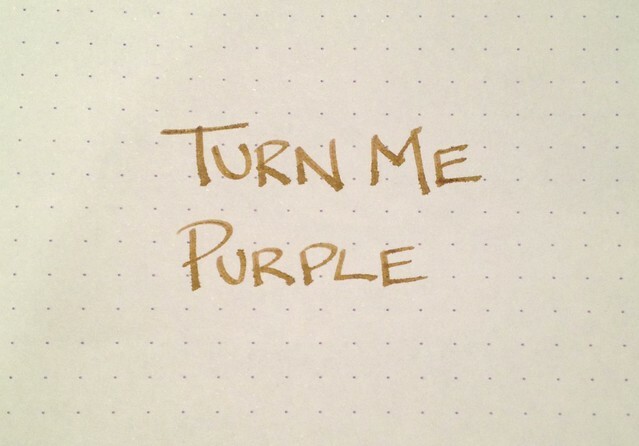 If you are looking for a copper-brown ink then this would be a great choice. For thought number one, I had to test it to believe it myself. 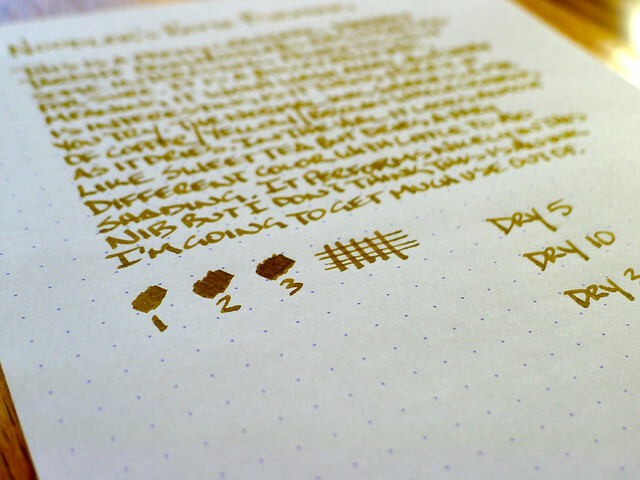 I cut out a little square of my Rhodia DotPad and submerged it in water for 2-3 minutes. What you see below are the before (dry), during (soaked, with a slight "inferno" showing), and after (dry and now purple). Pretty cool huh? 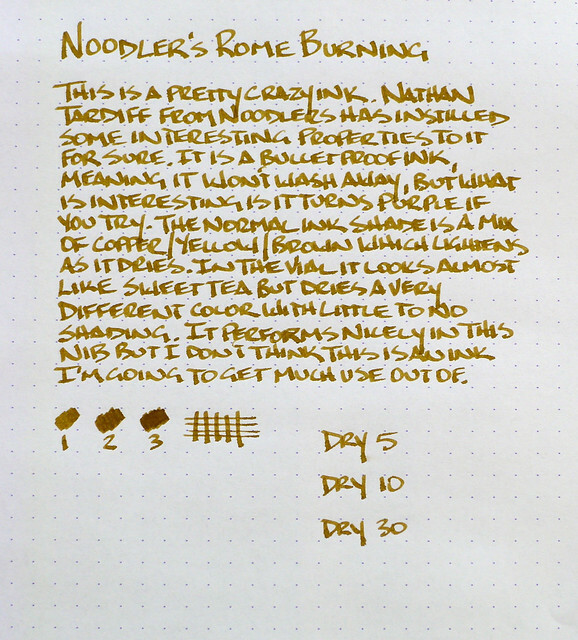 Posted on March 8, 2013 by Brad Dowdy and filed under Ink Reviews, Noodler's Ink.